In recent years, Model-Based Development (MBD) has resulted in an overall reduction in vehicle development time. However, to develop effective models for the MBD process, the parameters of the model need to be identiﬁed accurately. Unfortunately, access to standardized test facilities such as vehicle inertia measurement rigs, wind tunnels, and tire test machines, is limited and extremely expensive. 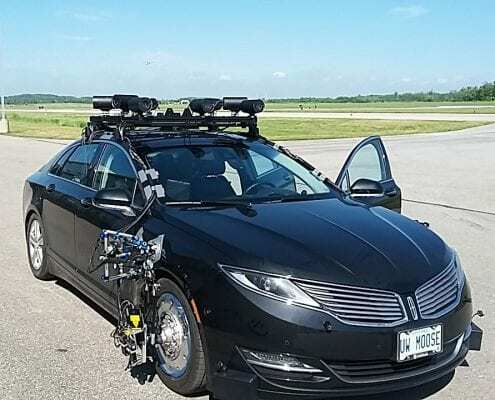 In two different tests, the University of Waterloo set out to demonstrate that on-road measurement techniques can be used for effective parameter estimation in vehicle dynamics modeling, eliminating the need for the costly traditional testing methods, and significantly shortening the overall development cycle. Their models were developed using their proposed estimation techniques, along with MapleSim and MATLAB/Simulink modeling tools. 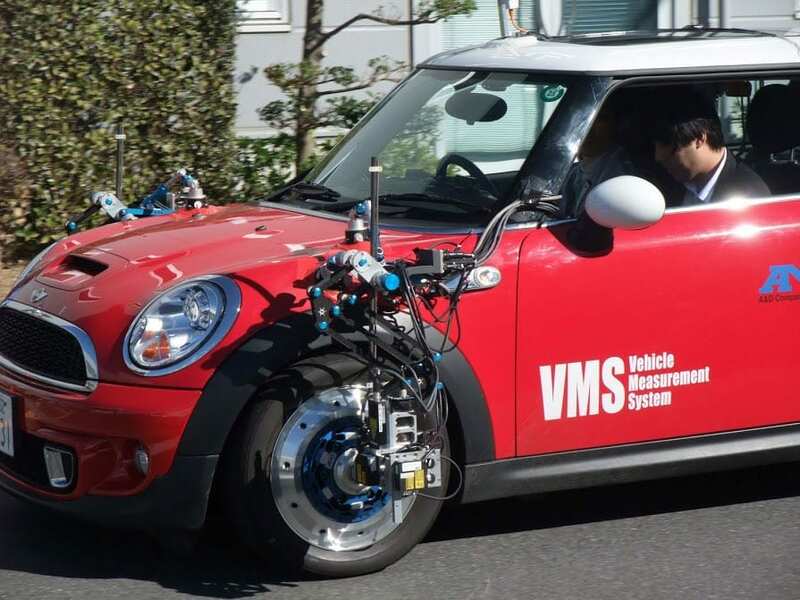 Then, by outfitting a vehicle with the Vehicle Measurement System (VMS) from A&D and a GPS, researchers gathered data on the vehicle behavior on the test track, such as wheel force and moments, angular speed, pitch, camber, yaw, etc. These measurements were taken during coast down, acceleration and braking tests for longitudinal motion, and speed bump tests for vertical motion. This data was then used as inputs to the model they had developed. Comparing the model simulation results with the actual data collected by the VMS showed a very close correlation, validating their theory that their proposed estimation methods for parameter identification, combined with measurements taken with a GPS and VMS measurement system, are an effective method of model development and system identification without the use of costly standardized test facilities.